How about this one to kick start the Spring/Summer season?? Check out the no expense spared video here…! I was so happy to be healthy enough to run last night’s session! I really missed you all last week when I was poorly. Anyway – we made up for it by having a look at 3 new songs… so many songs in the world to be given the OUO treatment! POP TRIVIA! Did you know that this Dusty Springfield tune was not only her first release, but it was also performed on the first EVER Top Of The Pops on 1st January 1964! 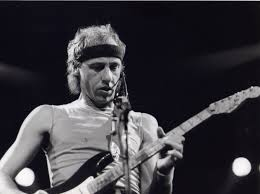 I absolutley LOVED seeing so many of the players last night channeling their inner Knopfler to recreate some of his great licks on the uke. Keep playing the tab you guys… it sounded awesome!